With Airborne, UAV or future infantry equipment - Be a step ahead of others! 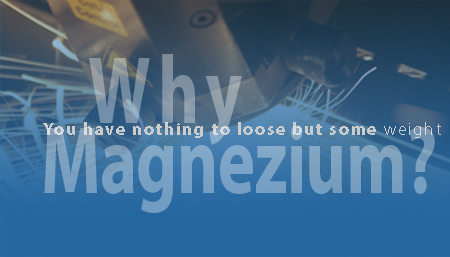 Switch to Magnesium parts and drop 35% of the metallic parts weight, while gaining state of the art technology. PALBAM possesses the world's most professional knowledge center for magnesium production of integrated aerospace parts. 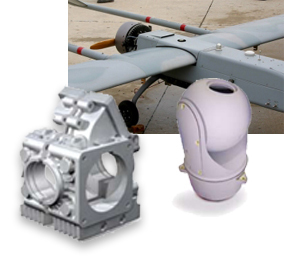 PALBAM has built a "one stop shop" for magnesium integrated parts for the defense and aerospace industry. PALBAM designs and manufactures a variety of aeronautic magnesium parts and components based on the client's specifications. From materials to forming procedures - from machining, surface protection and assembly - we do it all - you just enjoy the weight reduction! Don't hesitate- PALBAM will guaranty that a high quality magnesium product is in your hands for final product assembly. You have nothing to loose but some weight !